Deportivo Alavés and Levante meet at Estadio de Mendizorroza, in a match for the 23th round of the Primera División. 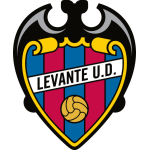 Levante got a home win by (2‑1), in the last league head‑to‑head, played in 30‑09‑2018. The recent head‑to‑head record favours the home team, since they have a record of 2 wins, 1 draw and 1 loss in the last 4 matches. In this match the home advantage may play an important role, as both teams present significant differences between home and away performances. After 9 wins, 5 draws and 8 losses, the home team is in the 7th position, havinf won 32 points so far. In the last match, they have lost in an away match against Real Madrid by (3‑0), after in the previous match they have lost (0‑1) at home, against Rayo Vallecano. This is a team that usually makes good use of the home advantage, stronger with the help of its supporters, since in the last 30 matches they register 5 wins, 1 draw and 9 losses in away matches, with 15 goals scored and 25 conceded; against 6 wins, 8 draws and 1 loss at their stadium, with 17 goals scored and 12 conceded. For the league, Deportivo Alavés won 19 points out of 30 possible points, after 5 wins, 4 draws and 1 loss in the last 10 home matches. In their home matches there are a few frequent results: at half‑time 0‑0 (5 out of 10 matches) and after the 90' 2‑1 (4 out of 10 matches). Defensive consistency hasn’t been their best feature, as they have conceded goals in 8 of the last 10 matches for this competition. They have conceded the first goal in 12 of their 22 matches for this competition, but have been able to turn the score around in 4. 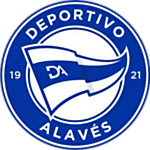 Deportivo Alavés comes for this round after a 3-0 defeat on their way to Real Madrid’s ground, thus registering their fourth straight match without winning the Spanish championship. The great strength of the home team lies in their ability to conduct their offensive attacks through organized transitions. Jonathan Calleri is the player responsible for putting the opponent's defense in the right direction, with the highest quality the finishing. Coach Abelardo has Rodrigo Ely, Brasanac and Aguirregabiria in doubt, players with physical problems. Confirmed Lineup: Fernando Pacheco, Laguardia, Ximo Navarro, G. Maripán, Rubén Duarte, T. Inui, D. Brašanac, Jony, Tomás Pina, M. Wakaso, J. Calleri. The away team is currently in the 11th position of the league, with 27 points won, after 7 wins, 6 draws and 9 losses. In the penultimate match, they lost in an away match against Sevilla, by (5‑0). In the last match, they tied in a home match against Getafe, by (0‑0). This is a team that usually makes good use of the home advantage, stronger with the help of its supporters, since in the last 30 matches they register 3 wins, 6 draws and 6 losses in away matches, with 19 goals scored and 26 conceded; against 7 wins, 3 draws and 5 losses at their stadium, with 29 goals scored and 30 conceded. In the last 10 away league matches Levante has a record of 2 wins, 3 draws and 5 losses, so they have won 9 points out of 30 possible. In this competition, they haven’t won any of the last 6 away matches. In their away league matches the most frequent result at half‑time was the 0‑0 (6 out of 11 matches). Defensive consistency hasn’t been their best feature, as they have conceded goals in 7 of the last 10 matches for this competition. In 22 matches for this competition, they have conceded the first goal 11 times and have only turned the score around in 1. In the last 11 away matches for this competition there is 1 period that stands out: they have conceded 8 of their 19 goals between minutes (46'‑60'). Levante comes for this fixture after a goalless draw, in the reception to Getafe, adding in this way the second followed match without winning in the Spanish championship. We emphasize that the visiting team is going through a gray moment of the season, having won only 2 of the last 10 matches. In this away match, the team led by Paco López should be presented with a low block, exploring the best way the space on the opponent's back: José Luis Morales is the main player in this type of transition. It is important to note that the Spaniard Roger Martí is Levante's top scorer with 9 scored goals. For this match, the coach won’t count on José Campaña, punished, neither on Rubén Rochina, Sergio Postigo and Toño, these with physical problems. Confirmed Lineup: Aitor Fernández, Coke, Rúben Vezo, Luna, E. Cabaco, C. Doukouré, José Luis Morales, N. Vukčević, M. Simon, Jason, Roger Martí. The most likely scenario for this match will be Deportivo Alavés winning. Although the home team coming to this match after some negative results, they present a superior squad than the opponent. On the other hand, Levante is going through a doubtful moment away, registering at the moment six consecutive matches without winning. Given this and taking into account these factors, risking the home team’s favor is the best option.